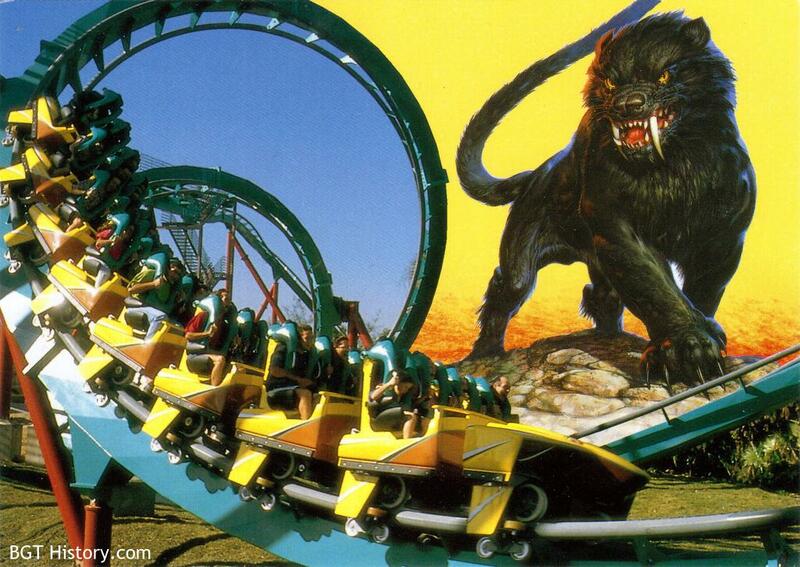 Roaring through the Congo section of Busch Gardens, Kumba is a steel roller coaster that opened in 1993. The 143 foot tall coaster features a 135 foot first drop, seven inversions, and speeds up to 60 miles per hour. The official opening date was April 21, 1993, with a preview for media and some 200 members of American Coaster Enthusiasts (ACE) held the day prior. The name Kumba in an African language (often cited as Swahili or Kikongo) means roar. The track was left hollow which allows for the roaring sound. At opening, Kumba had the world’s tallest vertical loop. It was also the tallest, fastest and longest roller coaster in Florida at that point. The park has stated it hits an average G-force of 3.8. 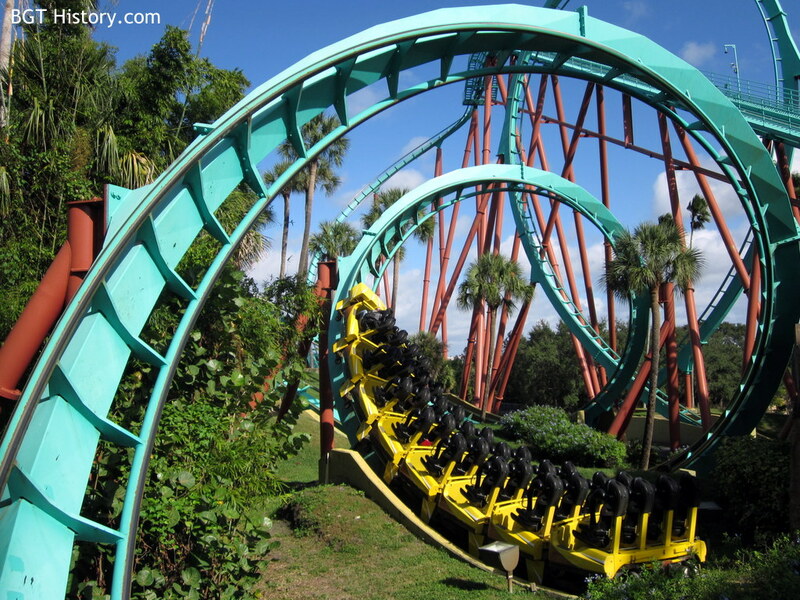 Kumba was scheduled for its annual refurbishment from May 4 through 27, 2010. During that refurb, the coaster was repainted. Additional details and images on Kumba will be added in the future.